Undrafted rookie free agents are the NFL’s answer to Hollywood Redshirts. They’re brought into fill out training camp rosters with a promise of a chance to prove themselves. Earning a spot on the practice squad represents a major victory. Even the scant few lucky enough to land on the 53 man roster end up playing on rookie minimum contracts and face a faint chance of getting a 2nd NFL contract. Even though Eli Rogers is another Kevin Colbert undrafted rookie free agent success story, last year he earned 4% of what Antonio Brown cleared. Now that Eli Rogers is a restricted free agent, he gets his first shot at NFL riches, and today we look at whether should or will get them. 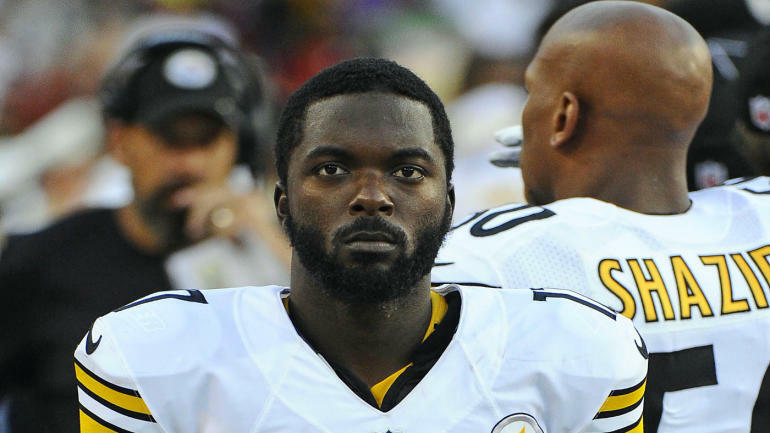 The Steelers signed Eli Rogers as part of their 2015 undrafted rookie free agent class. With a depth chart that featured Antonio Brown, Markus Wheaton, Martavis Bryant, Darrius Heyward-Bey and Sammie Coates, Rogers chances of making the team appeared slim. Yet by late August, USA Today Steelers Wire editor Neal Coolong was singing Roger’s praises, and even comparing his preseason performance vs Philadelphia to that of a young Antonio Brown. Unfortunately, Rogers got injured and spent his rookie season in injured reserve. A year later, however, Eli Rogers vindicated Coolong’s praise and won the Steelers slot receiver job at the opening of the season. By the end of the season, Rogers was the Steelers defacto number 2 wide out, and had grabbed 48 passes, to put him at third behind Antonio Brown and Le’Veon Bell. In 2017 Eli Rogers found his role in the offense diminished, but that was more due to the emergence of JuJu Smith-Schuster and the return of Martavis Bryant. While Eli Rogers’ catch percentage dropped in 2017, his performance perked up at the end of the season, and during the playoff loss to the Jaguars he was a perfect 5-5. Assuming the Martavis Bryant trade rumors prove to be false, the Steelers top three wide receiver slots appear to be set going into 2018. But the number 4 slot remains wide open. Darrius Heyward-Bey isn’t a reliable option, and Justin Hunter may look good in practice, but he’s done little on the field. In two seasons, Eli Rogers has shown himself to be a reasonably reliable target for Ben Roethlisberger at receiver who can provide solid depth. Ensuring that Roger’s returns via with a restricted free agent offer would likely lock down the position for the Steelers, would certainly free them to focus on other needs in the 2018 NFL Draft. A restricted free agent tender for Eli Rogers around 1.8 million dollars. That’s a pretty hefty sum for a 4th wide out and about a half million more than Darrius Heyward-Bey made in 2017. There’s also the question of injury. Eli Rogers injured his ACL late in the playoff debacle against the Jaguars. While he could certainly be ready for the season opener, there are no guarantees. There’s also the simple reality because of his injury, another team is unlikely to make a run at Eli Rogers should the Steelers leave him unprotected. The Steelers salary cap space is meager, and they’re already going to enter the season carrying Ryan Shazier’s $8,718,000 5th year option, which amounts to dead money. The Steelers need to stretch their salary cap dollars, and tendering Eli Rogers might just be pushing things too far. In the past, after three years, if the Steelers and even an inkling of future interest in a player they’d offer him a restricted free agent tender. Even Daniel McCullers got one last year. About the only exception was Stevenson Sylvester, who didn’t get a tender, but came back at the veteran minimum. The X-Factor here is Eli Rogers’ injury, and that could swing the balance against the Steelers offering him a tender, but the smart money says one way or another, Eli Rogers will be a Pittsburgh Steeler in 2018. This entry was posted in Steelers 2018 Free Agent Focus, Steelers 2018 Off Season and tagged 2018 NFL Draft, Antonio Brown, Ben Roethlisberger, Daniel McCullers, Darrius Heyward-Bey, Eli Rogers, JuJu Smith-Schuster, Justin Hunter, Kevin Colbert, Le'Veon Bell, Markus Wheaton, Martavis Bryant, Pittsburgh Steelers, Ryan Shazier, Sammie Coates, Steelers free agents, Steelers undrafted rookie free agents, Stevenson Sylvester. Bookmark the permalink.